This classic Rego Irish Records production is without question the most popular Irish Christmas album of all time. 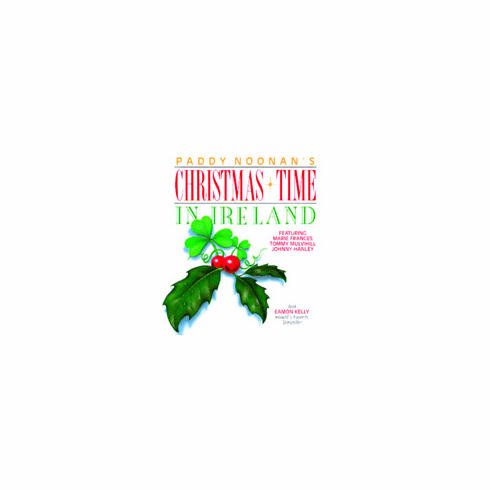 This timeless recording has endured as a bestseller for decades and become the Christmas standard for generations of Irish and Irish Americans alike. Paddy Noonan and his band of exceptional Irish performers take you back to a simpler, happier time when the true spirit of Christmas was celebrated. We encourage you to share these songs and stories with your friends as they are sure to bring the warmth of a traditional Christmas Time in Ireland to your Christmas celebration. This wonderful album is a must in any music collection. The final track is Silent Night (Oiche Chiuin) by MARIE FRANCES and is sung in both Irish and English . It has never been match in it�s beauty and simple elegance. Please note this item is part of the Rego GREEN Earth initiative and thus shipped shrink wrap free. Please know it takes hundreds of years for poly wrap to break down and as a good corporate citizen since 1916 we are just trying to do our small part to save our eco system.